Hiring a financial advisor is equivalent to hiring a Chief Financial Officer for your family. You want to use a disciplined process to find someone you can work with for many years. Finding the right person, or firm, may take some more time, but the investment of time will be well worth it in terms of your peace of mind knowing you made the right choice. 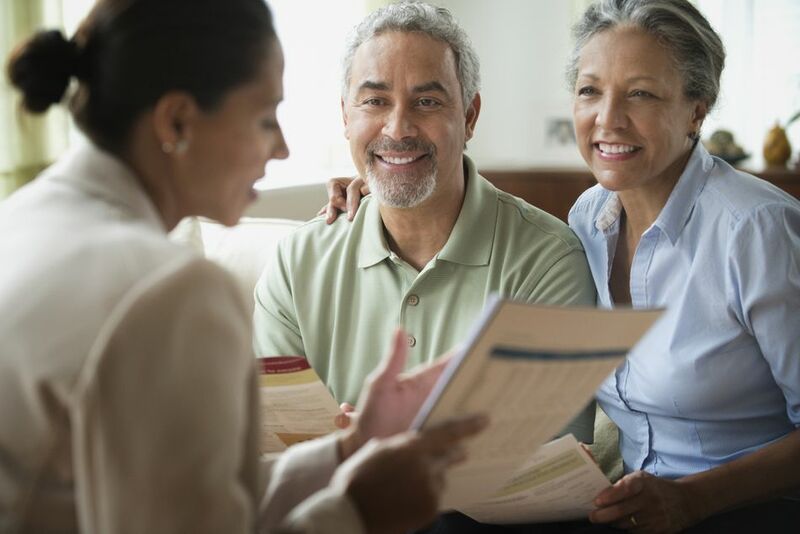 Here are seven steps to help you find the best financial advisor for your needs. Some financial advisors offer financial planning services but not investment management services. Others manage investments but provide little financial planning. Some have ​expertise in retirement income planning focused on those near or in retirement. While others focus on wealth accumulation — for folks who won't be retiring for another ten or twenty years. To find the best financial advisor for your situation you need to know what type of financial advice you need, and what services a potential advisor provides. Financial planning focuses on all aspects of your financial life such as how much to save, and what type of insurance you need. It is not just about your investments. Investment advisory services are focused on such investment management functions as what investments to own in which accounts. The best investments are chosen only as part of an ongoing financial planning process. Retirement income planning is focused on how you coordinate all the pieces such as Social Security, taxes, investments, ​pensions, retirement date, etc., so they all align toward the goal of delivering a retirement paycheck for life. All credentials are not alike. Some organizations create easy-to-obtain credentials for a fee so that salespeople can pay the fee, acquire a credential, and appear to be an expert. To find advisors or financial planners with reputable credentials look for someone who has their CFP® (College for Professional training) or PFS (Personal Financial Specialist) designation, or an investment advisor who has their (CFA®) Chartered Financial Analyst certificate. Credentials are obtained by passing an examination which demonstrates proficiency in the subject matter. To maintain the designation, an advisor must adhere to an ethics policy and meet continuing education requirements. You can also see if a potential advisor is a member of The National Association of Personal Financial Advisors, a membership group of fee-only advisors that requires continuing education that goes beyond the required credentials. There are numerous ways financial advisors charge for their services, but, the most objective and unbiased financial advisors are fee-only. To hire the best financial advisor you’ll need to know all the ways a potential financial advisor may be compensated, such as charging an asset-based fee, hourly fee, participating in commissions, or charging an hourly rate. And, you’ll want to understand the difference between a fee-only advisor who represents you and a non-fee-only advisor. A non-fee-only advisor may be able to receive other types of kickbacks or incentives from their company based on meeting sales goals or objectives. There are no right or wrong ways an advisor is compensated. For example, if you are buying an investment that you plan on holding onto for a long time — and for which you will not need ongoing advice — paying a commission may be the most cost-effective option. However, if you want someone readily available to update your financial plan and address ongoing questions, a commission-based fee structure is not the optimal choice. Online searches are a great way to narrow down the advisors in your zip code with the right credentials and appropriate billing structure to meet your needs. Each of the five search engines on this list allows you to put in specific criteria about the type of advisor you are looking for. As far as location, keep in mind, many firms work with clients remotely. This allows you to pick an advisor based on expertise rather than location if you don't need to meet face-to-face. Not everyone is comfortable working remotely, so you have to decide how important it is to look someone in the eyes. Or, if working via an option like Skype or Facetime is acceptable. The right questions can help you weed out financial advisors who you don't communicate well with. This list of five interview questions can help you determine how the financial advisor communicates, as well as their area of expertise and their ideal client. The key is making sure you understand the answers, and if you don't, feeling comfortable enough to ask follow-up questions. It's always advisable to ask someone for references. Due to privacy regulations, many advisors cannot hand out the names of other clients. Also, regulations prohibit financial advisors from using testimonials, so be leery of any advisers who use them. To be sure someone is legitimate and has a good service record before you hire them, verify an advisor’s credentials and complaint history by checking their records with the Financial Industry Regulatory Authority (FINRA), the Security and Exchange Commission (SEC), the CFP® Board, or with other membership organizations the advisor is associated with. One online site, ​Brightscope, can help you easily see which organizations an advisor is registered with and if they have any disclosure items or complaints reported. Formal customer complaints stay on a financial advisor's record for a long time. If an advisor has a complaint that doesn't mean you should automatically rule them out. The longer someone has been in business, the more likely it is they will have at least one complaint on their record. However, if someone has multiple complaints, you may want to look for another advisor. Fraud is more easily perpetrated when someone has custody of your assets. Most reputable financial advisors will use what is called a third-party custodian to hold your assets. That means your accounts would be opened at a large, well-known firm such as Charles Schwab or Fidelity. The advisor is able to place trades and offer service on the account, but it is the custodian that reports transactions to you, verify's signatures, and much more. Be cautious of advisors or firms who have custody of your money, or own another related firm that serves as the custodian. That is how Bernie Madoff was able to pull off his scheme. Also, take extra precautions when talking to advisors or firms that co-own other investments or other firms that they are recommending to you. The ownership structure and any related entities should be listed in the firm's disclosure document called an ​ADV Part Two.